The U.S. Commerce Department’s Economic Development Administration (EDA) has been a key partner in the development of CCAM since its inception. In May 2011, EDA invested $4 million to help build the CCAM facility, which opened in September 2012. The 62,000 square-foot state-of-the-art building serves as the physical hub for university and corporation collaboration. In October 2013, EDA, through the Administration’s multi-agency Investing in Manufacturing Communities Partnership (IMCP), awarded a $280,600 strategic planning grant to CCAM to help develop an Advanced Manufacturing Apprentice Academy Center to prepare workers in the region for careers in advanced manufacturing. 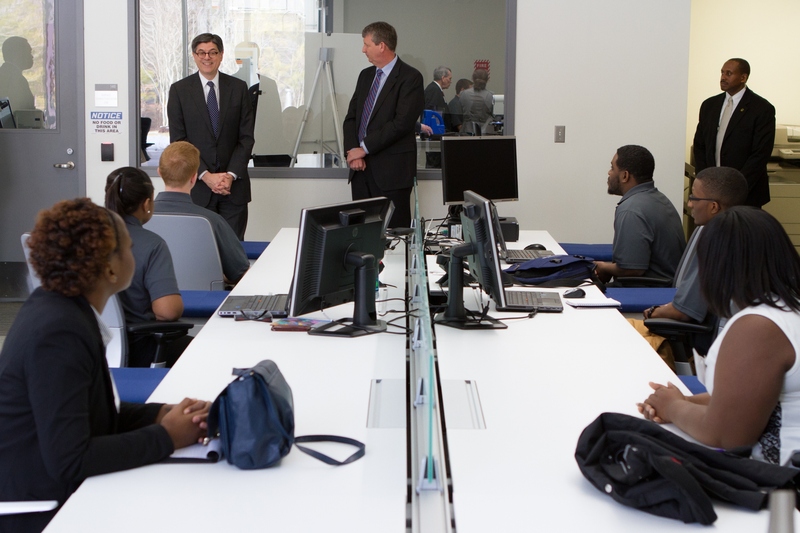 Friday’s visit to CCAM reinforces the Administration’s commitment to investing in high-tech manufacturing, research and development, and job training in order to promote real, lasting economic opportunity for all. To make sure America is better positioned than ever to compete globally, the President has proposed launching four new manufacturing institutes in 2014, a government-wide review of federal training programs to help Americans get skills in demand for good jobs, and expanding apprenticeships by mobilizing business, community colleges and labor. Submitted on February 3, 2014 - 3:42pm. Community Colleges, their mission was to prepare work hand-in-hand with local industry and create competent employees (whether IT, making steel, casting plastic items, programming or repairing robots). 60 years ago, the job of the HIGH SCHOOL was to perform this same task. The US seriously needs to re-evaluate SECONDARY EDUCATION and re-build the technician/blue-collar training capacity at that level to prevent DROP-OUTS without sufficient skill or knowledge. Secondary shouldn't be to make students university or workforce ready - but rather COMPETENT to the task and CONFIDENT of success.